The roadmap for reaching these objectives has, till now, been laid out in three bilateral agreements. The start of 2019 has also heralded the beginning of Season II of the Trump-Kim drama which has all the excitement and uncertainties of a reality TV show. Season I of this strategic power play had started in January 2018 with the New Year message of North Korean Chairman Kim Jong-un in the background of very belligerent rhetoric in 2017 between the “Rocket Man” Kim and “Dotard” Donald Trump. While a nervous world watched with increasing alarm the two unpredictable leaders took an about turn early last year and embarked on a journey towards reduction of tensions and negotiations for an eventual denuclearisation of the Korean peninsula. 2018 witnessed intense dialogue among the four major actors — all combatants in the 1950-53 Korean War — the US, North Korea, South Korea and China. In the public pronouncements of these four “dramatis personae” there appears to be a common understanding of the destination where they wish to reach. This destination, still on the distant horizon, would have three main features: denuclearisation of the Korean peninsula, a formal end to the Korean War and economic development of North Korea. Normalisation of bilateral relations between the US and North Korea on the one hand and between North and South Korea on the other would be important way stations in this journey. The roadmap for reaching these objectives has, till now, been laid out in three bilateral agreements. In the April 27, 2018 Panmunjom Declaration, the South Korean President Moon Jae-in and Chairman Kim Jong-un practically announced an agreement for future peace and an end to their long conflict. 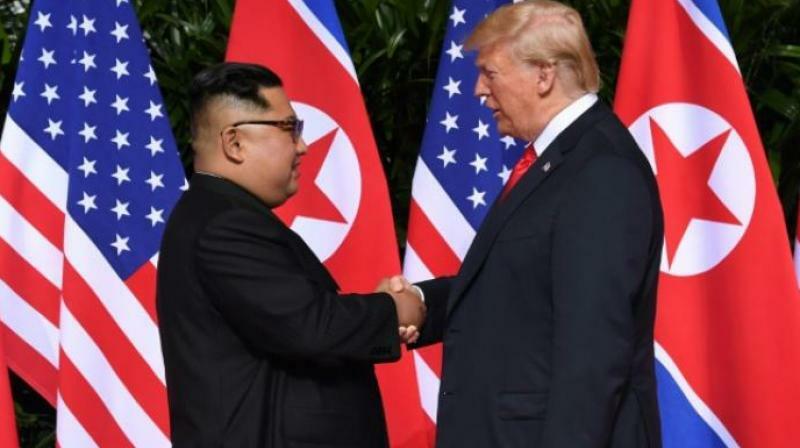 In the June 12 Singapore Summit Agreement, President Donald Trump and Chairman Kim agreed for the denuclearisation of the Korean peninsula in return of security guarantees from the US to North Korea. However this brief agreement was criticised for the lack of details, timeline or benchmarks for its implementation. In contrast, the September 19, 2018 Pyongyang Joint Declaration by the leaders of the two Koreas and the accompanying document signed by their defence ministers lists specific steps for reduction of military tension between them. Expectedly, the absence of an agreed understanding of the definition, geographical scope and timeline for specific actions by the two sides in the Trump-Kim Singapore Agreement led to an impasse in the negotiations towards denuclearisation. The maximalist US demand for a complete, verifiable and irreversible denuclearisation limited to North Korea has now been diluted. US National Security Advisor John Bolton has said that if North Korea takes “a significant step to give up nuclear weapons” — the President can begin to take the sanctions off. North Korea has articulated its stance in a KCNA commentary on December 20, 2018 which stated that “denuclearisation of the Korean peninsula means removing all elements of nuclear threats from the areas under both North and South Korea and also from surrounding areas from where the Korean peninsula is targeted.” It may be noted that nuclear weapons-armed B-52 and stealth planes from the Guam US base are flown periodically to intimidate North Korea. Another tough nut to crack would be the nature and contents of the future security guarantees to North Korea. The December 20 KCNA commentary clarifies that the denuclearisation of the Korean peninsula can be achieved only after “completely removing the nuclear threats from the US to the DPRK before it means the elimination of its nuclear deterrence.” The North Koreans rightly assess that while elimination of their nuclear weapons may be irreversible, US belligerence and sanctions would be reversible. President Trump’s unilateral abrogation of the 2015 nuclear deal with Iran would have only made North Korea more suspicious about US intent. In the unfolding drama the other two lead actors are South Korea and China. North Korea sent their chief negotiator Kim Jong-chol to Washington on January 18 to agree to the second Trump-Kim summit after Chairman Kim Jong-un’s consultations with President Xi Jinping in Beijing on January 8-10. It reveals a lot about the critical importance of China that while not visiting China for six years after attaining power in 2011,Chairman Kim visited China thrice in 2018. Chairman Kim consulted President Xi in March 2018 before meeting the South Korean President on April 27 and on May 7-8 to brief China of the outcome. Chairman Kim again met President Xi in Beijing on June 19-20 immediately after the historic summit with President Trump on June 12. China’s wishlist as outcomes of a thaw on the Korean peninsula is likely to include removal of THAAD batteries from South Korea, drastic reduction in US forces in Korea from the current level of 27,000 and curtailment of the periodic presence of US aircraft carriers in the Yellow Sea. South Korea is playing a double role in this drama of which both President Moon and Chairman Kim are the main scriptwriters. President Moon is playing the crucial role of a mediator between the US and North Korea. President Moon has been able to win the trust of both President Trump and Chairman Kim by his sincerity of purpose and understanding of the core concerns of both the US and North Korea. The second role of South Korea is to reconcile with its long estranged twin North Korea. President Moon’s approach is to first build a high level of trust with Chairman Kim and then translate that into concrete action. This strategy is bearing fruit as the steps towards demilitarisation of their border listed in the September 19 Pyongyang Declaration are being implemented. Some major achievements in the last three months are the demolition of 20 Guard Posts, defining of a Joint Command Area, opening of an Inter-Korean Liaison Office and reconnection of roads and railways which were ruptured during the Korean War. While the world would watch the preparations for the upcoming summit with hope it would be a challenge to bridge the chasm between the US and North Korean positions on denuclearisation. The two may agree, in principle, to an end of the 1953 Armistice and signing a peace treaty but its sequencing — whether it should precede or follow denuclearisation — would prove to be contentious. The Singapore Summit had taken place without necessary preparations on substantive issues. For the second Summit, serious working level negotiations were held in Stockholm on January 18-21 and are likely to continue. A South Korean negotiator has hinted that the objective at the second summit may be to go for a “smaller deal” meaning that North Korea abandons its key nuclear sites but holds on to some of its nuclear capacities. In exchange, Pyongyang would have the sanctions removed and receive substantial foreign aid. In the months to come, the only predictable scenario is that this riveting drama with colourful characters would continue through many episodes and is unlikely to conclude anytime soon.